Development of the whole-cell patch-clamp electrophysiology technique has allowed for enhanced visualization and experimentation of ionic currents in neurons of mammalian tissue with high spatial and temporal resolution. Electrophysiology has become an exceptional tool for identifying single cellular mechanisms underlying behavior. 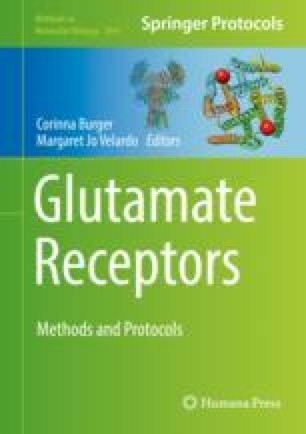 Specifically, the role of glutamatergic signaling through α-amino-3-hydroxy-5-methyl-4-isoxazolepropionic acid (AMPA) and N-methyl-d-aspartate (NMDA) receptors underlying behavior has been extensively studied. Here we will discuss commonly used protocols and techniques for performing whole-cell patch-clamp recordings and exploring AMPA and NMDA receptor-mediated glutamatergic responses and alterations in the context of substance abuse. This work was funded by DA036569 (CDG) and AA025590 and DA042172 (MFO).